First came the movie vending machines. Then there were the cupcake machines. Now, increasingly cropping up in California since the legalization of recreational marijuana are the cannabis vending machines. (Actually, it might not be a bad idea to line up all three side-by-side…) In truth, these self-service machines may be quite convenient, but vendors need to make sure their equipment, products and processes are all thoroughly vetted by a Los Angeles marijuana business lawyer. Such high-tech marijuana options are proliferating. 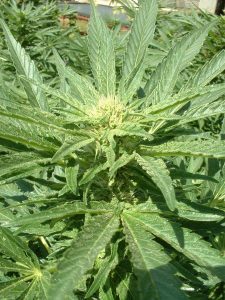 Given that federal law has not kept pace with many states in this regard, it is imperative that as advancing technology is applied to pot sales, retailers and other distributors be exceedingly cautious and work closely with a marijuana business lawyer to ensure both state and local ordinances are followed to the letter. Failure to do so can result in hefty fines, seizure of products, closure of a shop and possibly even criminal charges – particularly if marijuana ends up in the hands of minors. Although the so-called “Cole Memo” issued under the Obama administration’s Justice Department allowed state-approved marijuana operations to avoid federal crackdowns (although this never equated to immunization for cannabis growers and distributors), Trump’s administration has been less forgiving under U.S. Attorney General Jeffrey Sessions. The direction the administration takes from here on marijuana may well depend on the outcome of the upcoming midterm elections. Marijuana vending machines aren’t brand new. In Washington, medical marijuana became available via vending just inside a Seattle dispensary in 2015. And while some customers raved to The Guardian about its convenience, others referred to it as a “mini-Fort Knox,” commenting on the security features that made it difficult or impossible for anyone to hack. First-time users had to swipe their state-issued medical marijuana cards and driver’s licenses and submit to a biometrics measure (fingerprint, retinal scan, etc.) and then they could continue their cash-based purchase. A repeat customer needed only to present their card and driver’s license to make their purchase. Machine use was only available during dispensary hours, with the dispensary owner indicating there would never be a vending purchase made from a machine by a customer whose ID wasn’t first checked by a human. Now in California, a pot vending machine has cropped up in Santa Cruz. Cannabis consumers can browse the bud options at the dispensary “bar,” but the vending machine inside offers grab-and-go choices. The machine has an array of flowers, vaporizers, edibles and chocolates from which people can choose. The interface requires an ID – with a built-in security feature to verify your age – and cash. Identifications are also checked at the door before customers enter. The company says it “triple verifies” customers to ensure they are of age. Our business lawyers for marijuana distributors are available to answer your questions.